· High Quality extra soft and comfortable bicycle seat. · Non-slip, High Quality PU Leather. · Very comfortable, wear-resistant and durable. · Easy to attach and adjust. · Sporty and stylish design. · Non-skid and anti-abrasion surface layer. · Extra comfort for long distances. · Universal design Suitable to any kind of bike including BMX, MTB, and mountain bikes etc. 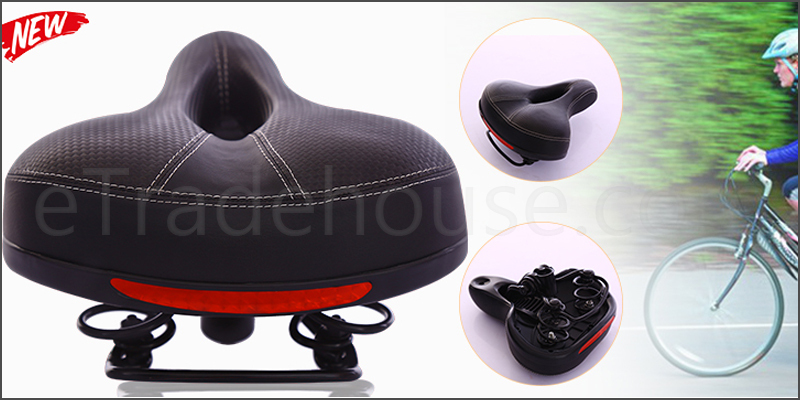 High Quality Extra Soft and Comfortable Bicycle Seat.